Every year in Canada, 1600 people are added to the organ transplant waiting list, but there are only 20.9 donors available per million people; as a result, someone dies waiting for an organ every 30 hours . The rise in the number of patients waiting for a transplant each year prevents the adequate and time-efficient supply of donor organs such that patients on the transplant list typically wait over four years to receive a potentially life-saving medical procedure. Complicating things further, organs donated post-mortem have a higher risk of deterioration if not harvested and stored in a timely fashion compared to live donors. While advancements in technology are allowing doctors to preserve organs for longer, current methods do not offer a long-term solution to organ banking. As such, scientists and clinicians around the world are constantly looking for ways to prolong the storage time so that harvested organs can be delivered to recipients in a viable and timely manner. Some of the current organ preservation methods include: cooling organs on ice, keeping the organs warm and perfusing them with oxygen and “magic potions” which avoid metabolic distress, or use of gene editing technologies to regulate the expression of certain proteins . While these methods can prolong preservation time for a few hours (e.g. 4-6 hours for heart or 12-24 hours for kidney) , adequate long-term storage of organs is probably only possible at temperatures below 0°C by freezing, supercooling, or vitrification protocols, none which have been successful to date in retrieving organs with viability after implant. The problem with freezing organs is that mammalian cells, on their own, are not equipped to deal with the side effects of freezing. They lack strategies to deal with physical damage by ice crystals or to counteract damage from osmotic stress and oxygen deprivation that accompany freezing. Furthermore, unlike many other species, human cells have a very limited ability to coordinate a regulated suppression of their metabolic activities (entering a torpid state) in response to the stress of cooling and freezing, and instead, when conditions are suboptimal, go into a “panic mode” before dying. Nature has provided us with great examples of animals that can endure whole-body freezing over the winter and emerge unharmed in the spring; one such miraculous organism is the wood frog (Rana sylvatica) (Figure 1). When temperatures drop, wood frogs hide under layers of leaves on the forest floor where they gain some insulation until temperatures drop below zero and initiate freezing. When ice is sensed on the frog’s skin, signals are instantly sent to the liver that responds to pouring sugar molecules out into the bloodstream that are distributed to all organs as a cryoprotectant. Blood glucose levels quickly rise from 5 mM in normal conditions to over 300 mM when frogs are fully frozen, an amount that is many-fold higher than levels in extreme diabetic patients. Slowly, ice propagates through the body with large crystals formed between the skin and muscles and filling the abdomen, bladder and all other body cavities with ice. Figure 1: Active wood frog after a few weeks of thawing (left), fully frozen wood frog in winter (right). Images were taken by J.M Storey. Within the wood frog’s tissues, much of the water from inside cells is pulled out into the extracellular space so that any ice crystals formed do not damage capillaries or rupture cell membranes and cells shrink down in volume . Adding to all this, freezing of blocks oxygen delivery to organs from capillaries. As much as 70% of the wood frog’s total body water can be converted into ice as the animal enters a state of suspended animation without signs of breathing, heartbeat, muscle movement or nerve conductivity. However, when spring comes, wood frogs thaw and resume normal life with no signs of damage . Interestingly, wood frogs can tolerate being anoxic, dehydrated, and hyperglycemic even without being frozen, thus allowing us to dissect the effects of freezing and study them individually. To survive the winter, wood frogs must adapt at the biochemical level to prevent or minimize organ damage. The amount of energy the frog can produce without oxygen is far less than what is needed to maintain all cellular processes, and this requires cells to selectively shut down their metabolic processes and divert available energy to the crucial pro-survival processes. Indeed, even when metabolic rate is just a fraction of what it was in normal conditions, wood frogs still activate antioxidant defense systems, protein chaperones, and anti-apoptotic responses to shield themselves from damage while strongly suppressing most energy-expensive processes including protein synthesis, growth, and proliferation. Wood frogs regulate such metabolic rate depression at multiple levels: e.g. during transcription by modulating DNA accessibility, post-transcriptionally by microRNA action, during protein synthesis by inhibiting the translation machinery, and post-translationally by reversibly modifying proteins to restrict or stabilize their activity. To survive freezing, all regulatory levels must be in perfect synchrony and thus understanding how central metabolic pathways are regulated during freezing and thawing in wood frogs, can provide us with the missing information needed to successfully develop freezing as a preservation strategy for transplantable organs. Every organ is specialized for selected functions and therefore the requirements for freezing survival may differ in each. 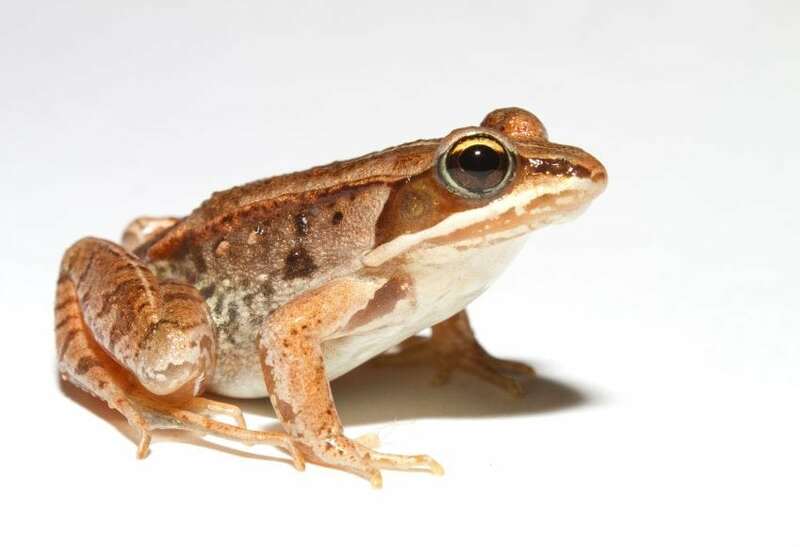 As such, it is important to identify how specific metabolic pathways in the wood frog are regulated before attempting to exploit our understanding of that pathway to improve organ preservation. A new study from our lab analyzed the transcription factor NFAT5 (nuclear factor of activated T cell 5) and its effects on osmoregulatory genes – the Na+/Cl−-dependent betaine-GABA transporter (BGT-1), sodium/myo-inositol cotransporter (SMIT), and aldose reductase (AR) . SMIT and BGT1 are transporters that allow the entry or exit from cells of osmoprotective myo-inositol and betaine, respectively, and AR is an enzyme that makes sorbitol. Myo-inositol, betaine, and sorbitol are important for maintaining cellular solute levels and preventing cells shrinking or bursting when conditions are not favorable. Interestingly, wood frogs only increased NFAT5 and AR protein levels during freezing in the liver while in skeletal muscle, the protein levels of NFAT5 and BGT-1 increased only after thawing. Unexpectedly, within the kidney, the protein levels of NFAT5 and its 3 downstream targets were unchanged during both freezing and thawing. Ultimately, this study demonstrates that although all three genes are regulated by NFAT5, each is regulated in a tissue-specific manner. This requires coordinated control at the various levels explained above. By understanding what central regulatory pathways are exploited in wood frogs to survive freezing in a tissue-specific manner, we may be able to induce similar changes in harvested human organs that allow osmoprotective actions to be enhanced to greatly improve the viability of organs during and after freeze/thaw and finally achieve a long sought-after goal of organ cryopreservation. These findings are described in the article entitled TonEBP/NFAT5 regulates downstream osmoregulatory proteins during freeze-thaw stress in the wood frog, recently published in the journal Cryobiology. This work was conducted by Yichi Zhang, Rasha Al-attar, and Kenneth B. Storey (Wikipedia page) from Carleton University. The organ project (2017). http://www.theorganproject.net/. 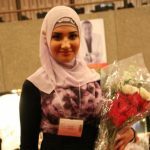 Rasha Al-attar is biology Ph.D. candidate at Carleton University. Her research focuses on understanding metabolic rate depression in stress tolerant models. Rana sylvatica is able to survive weeks of whole body freezing in winter with 65-70% of its total bodywater converted to ice. Freezing interrupts oxygen delivery(anoxia) and withdraws water from thecells (dehydration). Understanding the molecular mechanisms involved can help with developing new organ cryopreservation methods.